Do you enjoy coffee. Hot, cold, iced, with chocolate, foam, no foam, what is your perfect cup of coffee? I love my coffee. I could drink it any time. I had my first coffee when I was in my early 20’s down on the water front in Seattle. It was a whirlwind trip there to spend a few days around the 4th of July. My aunt and cousin lived in Seattle and I was lucky enough to visit with them when I was there. I was a complete tourist and soaked in every single moment of it. I spent an entire day down in Pike’s Place market exploring and eating my way through the waterfront. I would love to do the trip again, this time with my camera. I can remember much of the trip, mostly of the amazing seafood I experienced while there. I can tell you what I ate, how it looked, tasted and smelt. Unfortunately I have no idea of the names of the places where I ate. 20 years ago I never thought I would have a website where I shared my love of food. Hell 20 years ago you did not require a passport and cell phones were something you only seen in the movies. You could not help but be enticed by the rich enticing aroma of fresh coffee. There were these huge mobile kiosks that were found around the city. All serving the most amazing coffee. Never ever having a coffee before my cousin ordered for me. She being a Seattle native, I was in good hands. I have no idea what she ordered but it was the most amazing thing I had ever enjoyed. The moment I wrapped my hands around that inviting cup of coffee, it’s amazing scent filling the air around me. I was hooked. It was the first of many I savoured on my short trip there. And even until today I have yet to experience anything half as amazing as the coffee I enjoyed on the chilly wet streets of Seattle. 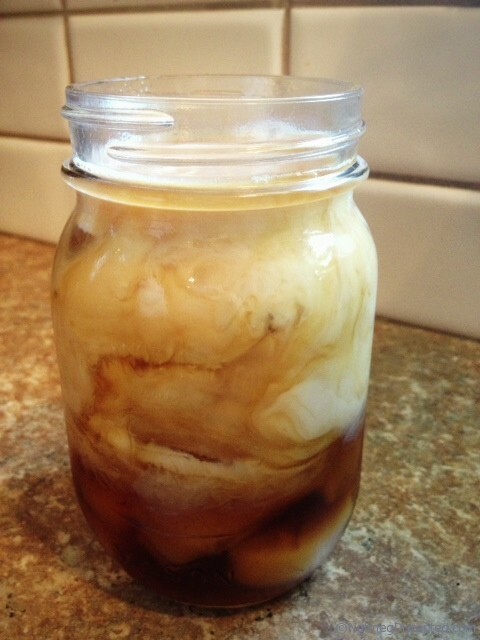 During the last heat wave I decided I needed to give Iced Coffee a try. You will find many variations on the internet. Some using sugar as a sweetener, other condensed milk. 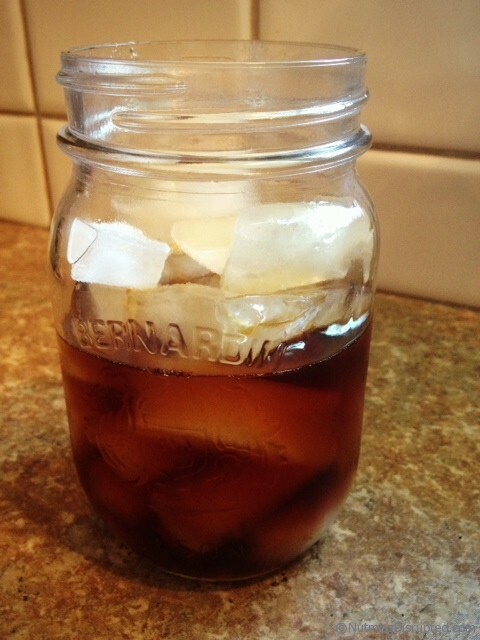 Some use boiling water to brew the coffee, others use a cold brew method. Which sounds quite interesting but takes many hours, which I was not willing to do……. I was in a hurry. But I do plan on trying it to see if there is a difference in flavor. 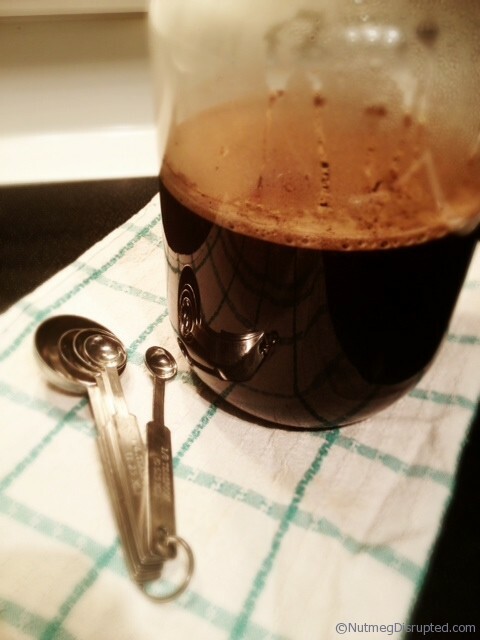 1 heaping tablespoon of fresh ground coffee for every cup of boiling water. Place the grounds in a large mason jar and add the boiling water. Stir and allow to sit for 3 hours at room temperature. Give it a good stir once ever hour. 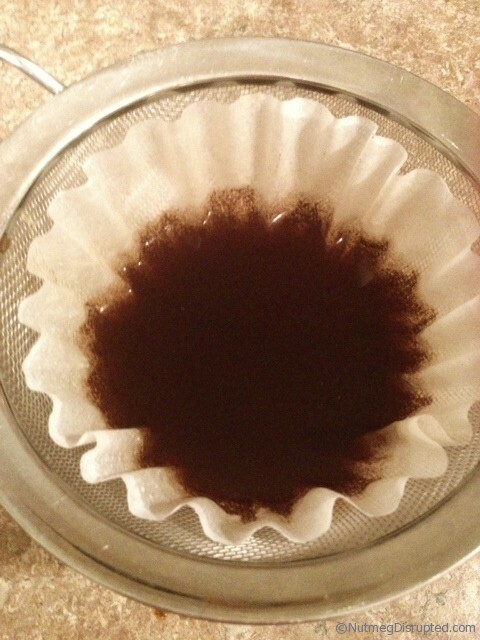 Using a coffee filter and a colander strain the coffee. Place in the fridge until needed. Take a glass, any size and fill it with ice. Add the coffee concentrate until the glass is just a touch over half full. Add a splash of flavored syrup. I use the Caramel Syrup from Starbucks. To make it rich you can add just a splash of cream then top with milk. With another heat wave here I better make a big jar of concentrate. I have a very busy weekend ahead. Thank goodness it is a 3 day one as I need that extra day to get everything that I need to have done for Tuesday, done.